We are fully prepared to keep your boat functioning at its finest. We provide tune-ups by factory-trained technicians, winterization services, a complete marine store, and more. Don't get left on the dock! Rent a boat on the Fulton Chain or we'll deliver it to your lake. The only luxury boat rental offering in the area! 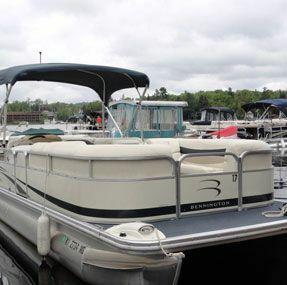 Browse our new or used boats & engines. Find the perfect boat for you, and let Rivett's Marine help you keep her in tip-top shape for many seasons to come. 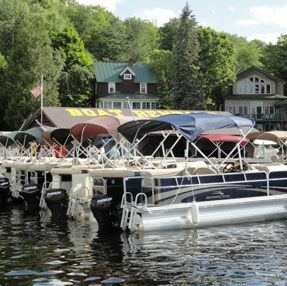 Rivett's Marine is a full service marina ready to supply all your boating needs when visiting the Adirondack's beautiful Fulton Chain of Lakes. Located at the southeast end of the Fulton Chain of Lakes, we have been sending off boaters, canoers, fishermen, campers, hikers, and explorers for over a century. Our factory trained technicians have the expertise to service your watercraft and have you back on the pure waters of the Adirondack lakes. From Utica: Take NYS Thruway (I-90) exit 31, then North on Rt. 12. Take exit at Alder Creek Rt. 28N, and follow Rt. 28 into Old Forge. Turn onto Lakeview Ave and follow the waterfront around to our driveway. From South and East: Take I-87 Adirondack Northway to Exit 23. Go Left off exit, then Right onto Rt. 9 North. Turn Left onto Rt. 28. Follow Rt. 28 into Old Forge. Turn onto Lakeview Ave and follow the waterfront around to our driveway. 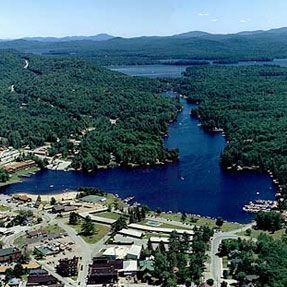 From Lake Placid, Saranac and North: Go South on Rt. 30 from Tupper Lake. Then turn Right onto Rt. 28 into Old Forge. Turn onto Lakeview Ave and follow the waterfront around to our driveway. © Rivett's Marine Recreation & Service, Inc. All Rights Reserved.